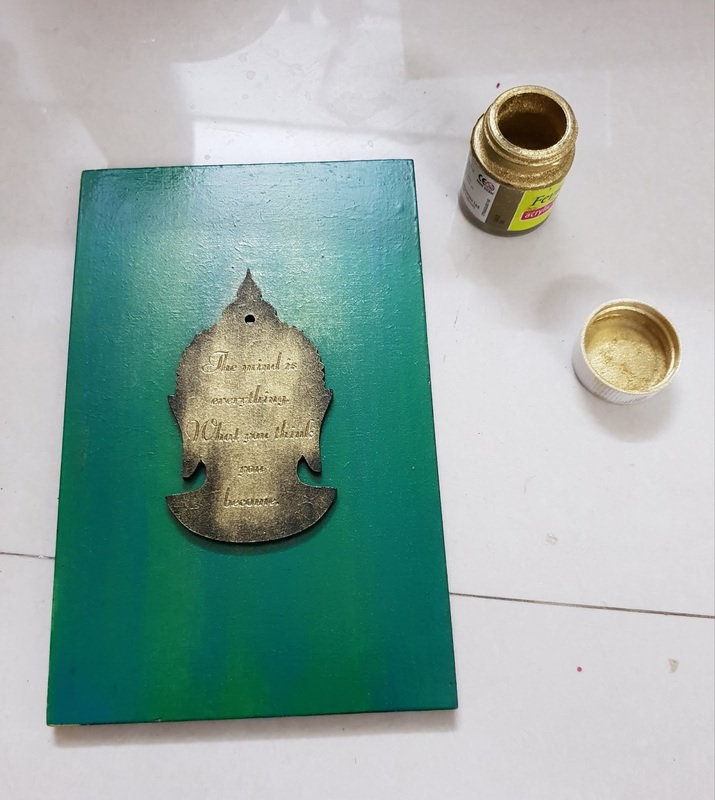 This is Amisha again with yet one another decoupage project. 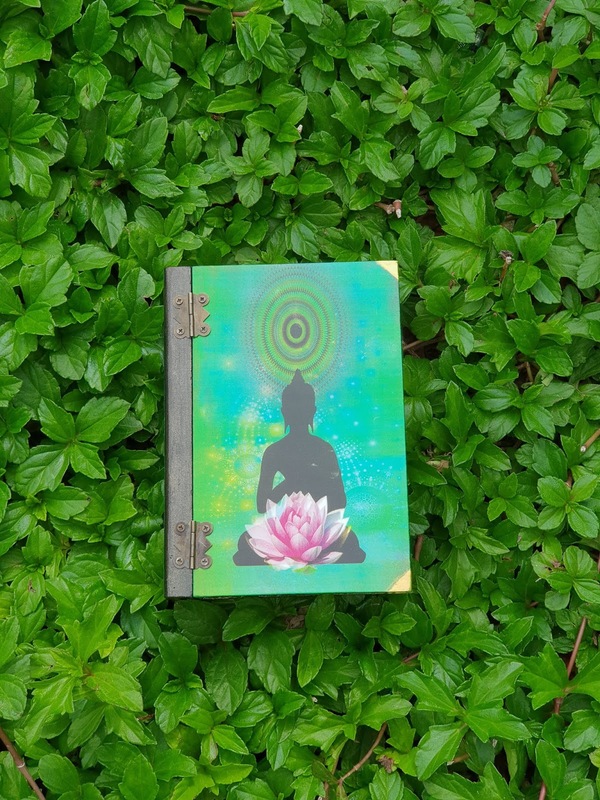 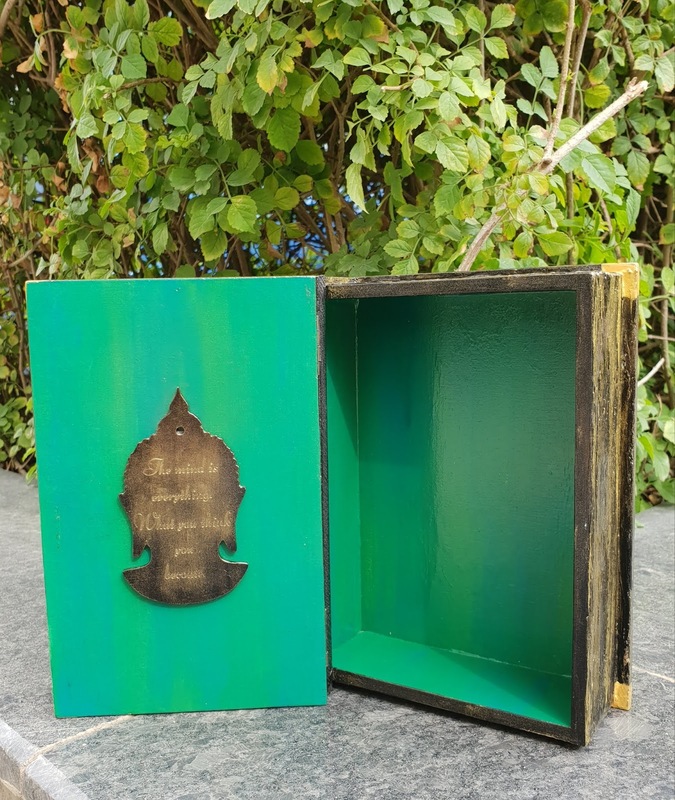 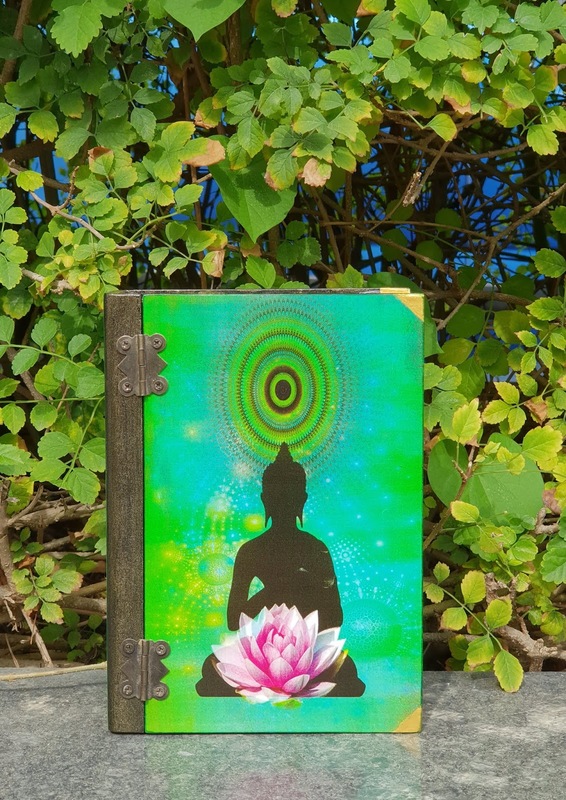 For this particular post i have made Buddha Book Box. 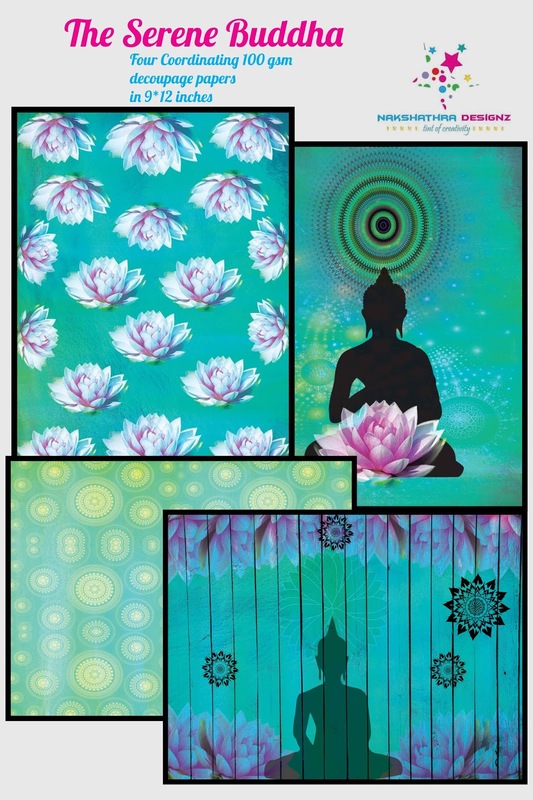 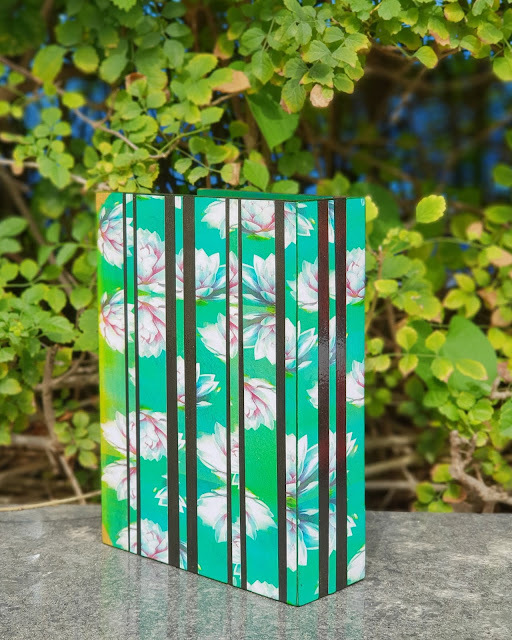 As soon as i laid my eyes on those beautiful buddha papers my hands were itching to create something out of it and hence i came up with this project. 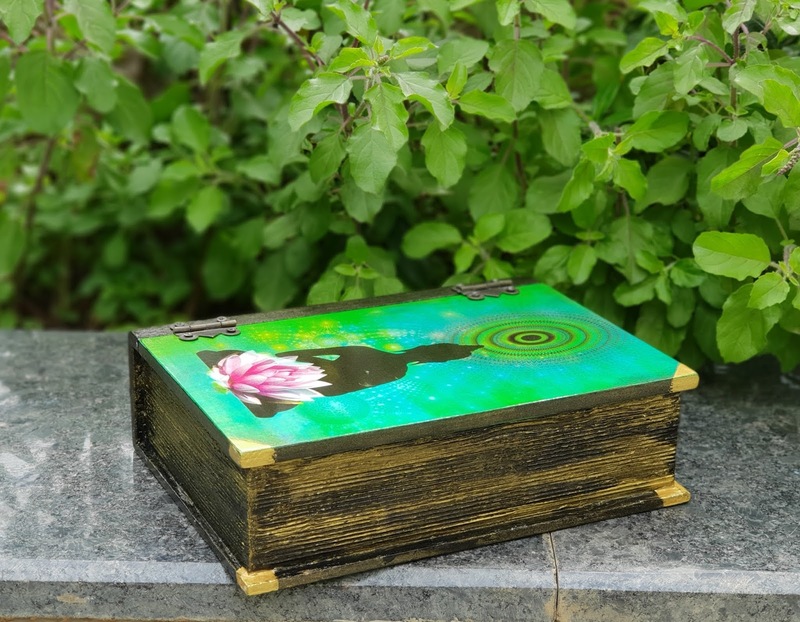 So lets take a look at step step by procedure of it. 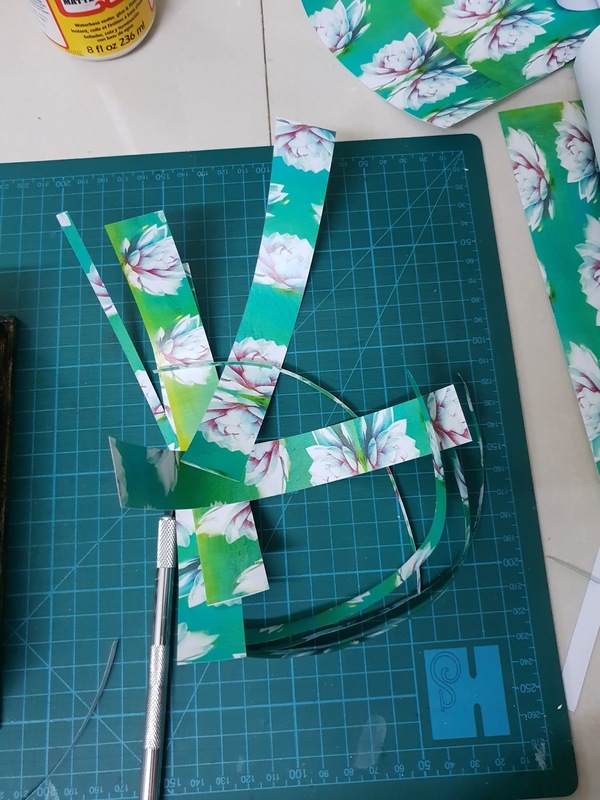 Step 1: I selected the papers i wanted to work with. 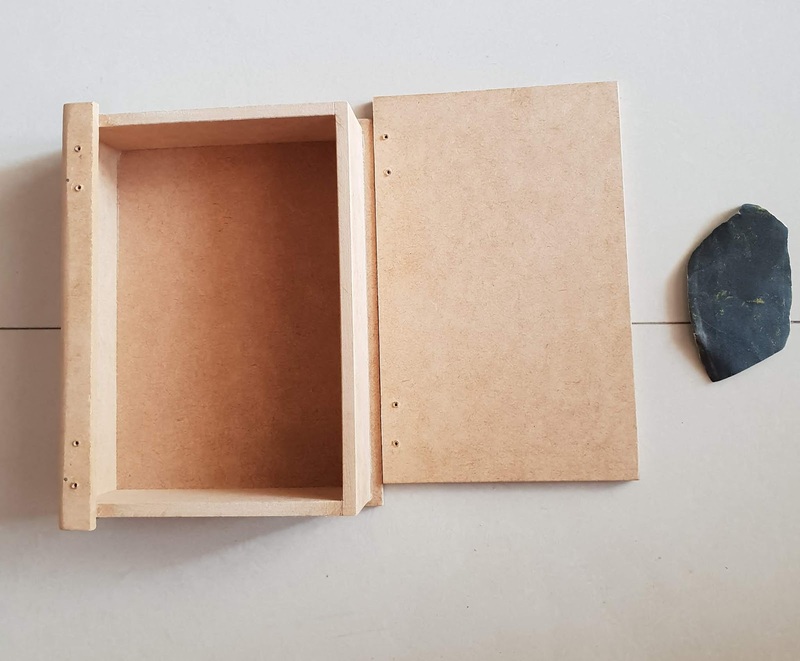 Step 2: With the use of sand papers i sanded the box and unscrew the hinges. 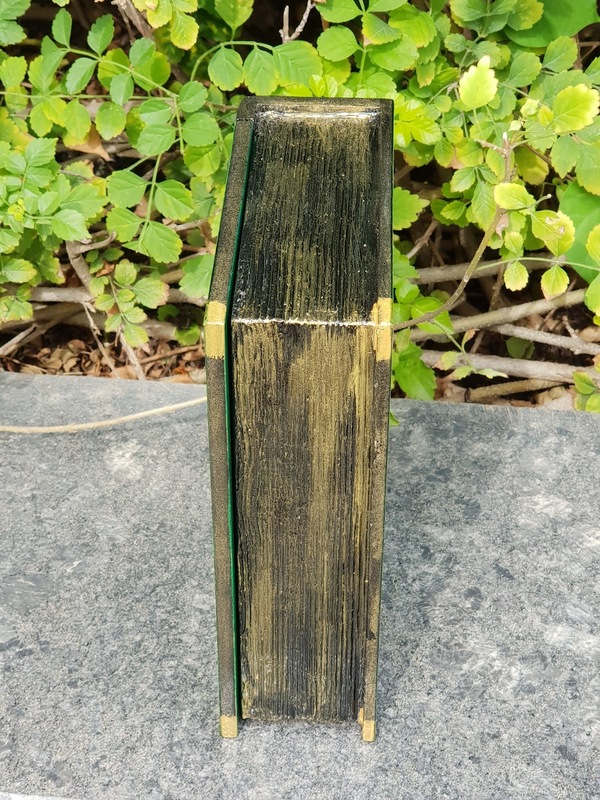 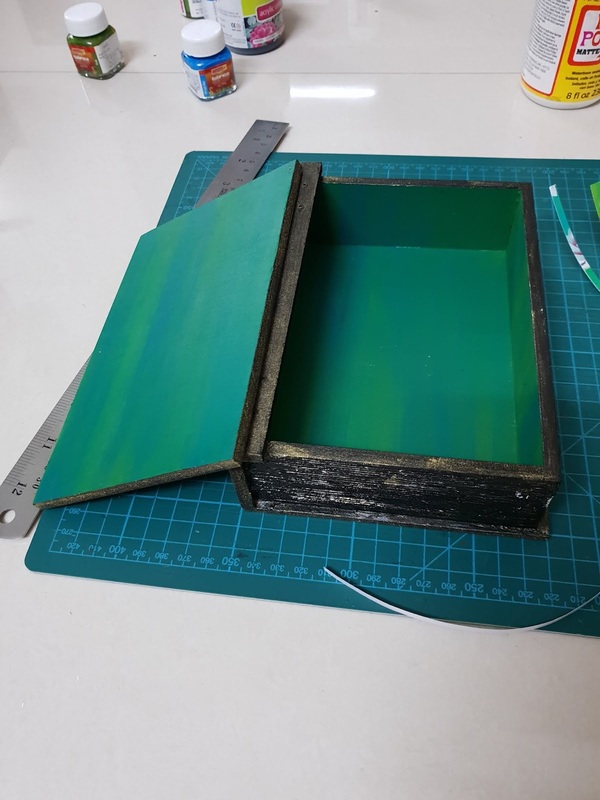 Step 4: Once it was dry i painted inside of the box with shades of green and outside on the pages effect part with black and dry brush stroke of golden acrylic colour. 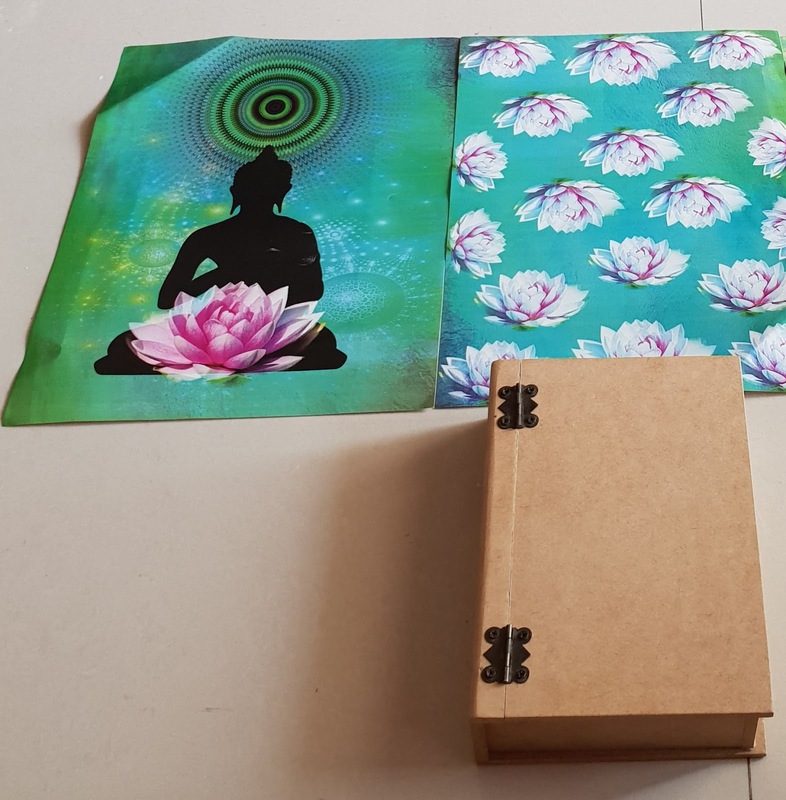 Step 5: Later i decided to cut the Lotus Paper vertically of .75" and .25" sizes accordingly and glued all of them with the help of modpodge at the back side of the book box and glued the front part with the buddha image paper. 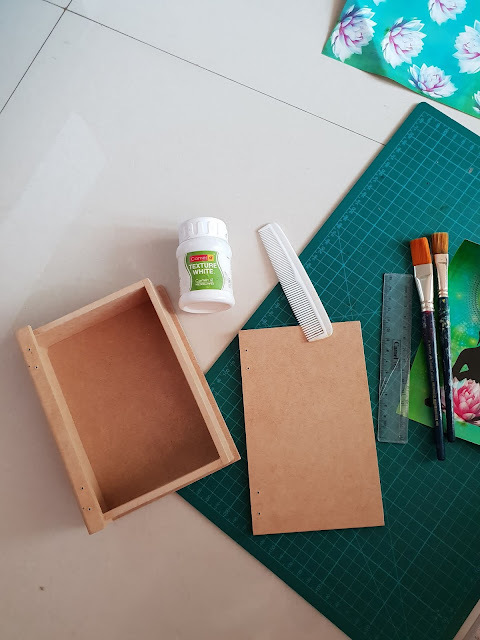 Applied a layer of modpodge on top of them and once it dried applied a layer of varinsh on all over the box. Step 6: Took an mdf buddha cut out which i had with me and thought would go very well this theme so i painted the cutout with black acrylic colour and rubbed golden powder on the written part and glued it with Fevicol .. So, Here are the few Glimpses of my project. Hope you all enjoyed this post as much as i loved making it..